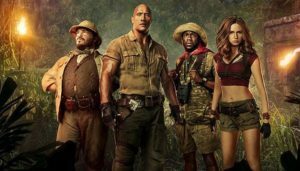 Jumanji: Welcome to the Jungle swung its way into theatres as a surprise hit for all the right reasons. Serving as a stand-alone sequel to the 1995 film, a group of high schoolers; Spencer, Martha, Bethany, and Anthony “Fridge” are sentenced to detention where they discover an old video game console with a strange game attached to it. Looking to pass the time, the four decide to play, however, they soon discover that this is no ordinary game. After being sucked into Jumanji, the group is transformed into the avatars they chose. Spencer is now a tough explorer named Dr. Smolder Bravestone, Fridge is a zoologist named Franklin “Mouse” Finbar, Martha is a gorgeous martial art expert named Ruby Roundhouse, and Bethany is an overweight, male cartographer named Professor Sheldon “Shelly” Oberon. With only three lives to survive, these unlikely teens must work together to endure a dangerous adventure in order to beat the game and return to the real world. If not, they’ll be trapped inside Jumanji forever. What makes Jumanji: Welcome to the Jungle so likable is the cast themselves. As you watch them on screen, viewers know full-well the cast was having a good time making this film. Hands down, Jack Black steals the whole show. Watching him play a stuck up, self-obsessed teenage girl trapped inside a middle-aged man’s body was perhaps the funniest thing about this movie. Dwayne “The Rock” Johnson, Kevin Hart, and Karen Gillan gave it their all— both comedically and in emotion. Because each of these actors did a superb job, it wasn’t hard to forget their characters were portraying young adolescent’s trapped inside adult bodies while inside a video game throughout the entire film. Thankfully, this is one comedy that doesn’t feel forced. There was a joke or two that were hit-or-miss, but overall the humor is very silly and enjoyable as it had the whole theatre laughing. 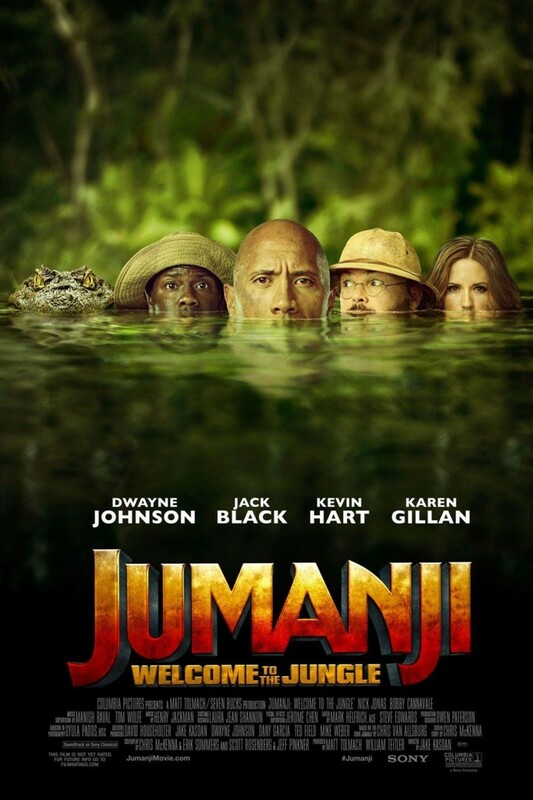 One interesting aspect about Jumanji: Welcome to the Jungle was seeing the film utilize the concept of how a video game would play out in a film thanks to its creative sets and action sequences. The villain seemed a bit out of place or just plain weird at times while the special effects were a bit cheesy or did not look as good as they could have. Nevertheless, these small flaws can be overlooked. If you pay close attention, there is also a small tribute to the late Robin Williams where the teens take refuge in an abandoned treehouse once occupied by William’s character, Alan Parrish, from the original film that shows a carving of Parrish’s name. Aside from some minor plot holes and somewhat lazy effects, Jumanji: Welcome to the Jungle in whole is a fun adventure film that many will enjoy.